The Centre for Citizens with Disability (CCD) has appealed to the Federal Government to gazette the Discrimination Against Persons with Disability Prohibition Act for effective compliance in the 36 states of the Federation and the Federal Capital Territory (FCT). The Executive Director of the group, Mr. David Anyaele, said this on Wednesday on the sidelines of a one-day presentation on mapping needs of Persons with Disability (PWDs). Anyaele said the government must take into cognisance the relevance of the newly signed law and ensure total compliance at both the federal, state and local government levels. ”PWDs must exercise their franchise under a friendly atmosphere during the forthcoming general elections without fear or intimidation especially with the backings of a protective law against discrimination of PWDs. ”The database from the public presentation we reported will support the Independent National Electoral Commission (INEC) in implementing the act effectively in all states of the federation. ”We want every PWDs in this coming elections to exercise their right freely bearing in mind that there is a signed discrimination against persons with disability prohibition act to support their rights,” he said. 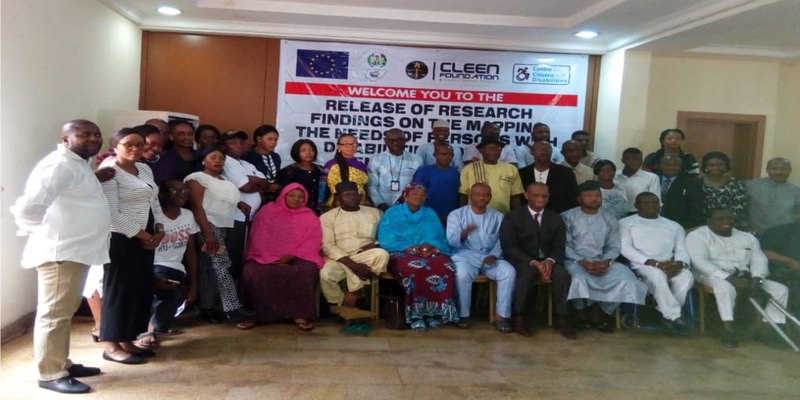 Similarly, Mr Benson Olugbuo, the Executive Director of Cleen Foundation, a Non-Governmental Organisation (NGO), advised INEC and security agents to provide adequate security to ensure PWDs were given priority to cast their votes early. Olugbuo appealed that officials of the INEC and security officers should assist PWDs with interpretations in local dialects and pidgin, where necessary. ”It is one thing to be disabled and it is another thing to be disabled and not be able to speak or hear English language. ”Assistance for PWDs should be totally prioritised by both officials of INEC, security agents and other well-meaning citizens in this year’s elections,” he said. Speaking in a separate interview, Mrs. Dorothy Lakunuyi, Executive Director, Civil Society Organisation (CSO) Divison, Voters Education Department, INEC, said, over the years the commission had worked assiduously on the framework to improve participation of PWDs in any election. She reiterated the commitment of the INEC to effectively factor PWDS in the Feb. 16 general election and in every other election through the provision of sign language interpreters at polling units. ”Trained personnel and provision of disability-friendly materials will be provided such as the brails for the visually impaired to allow them to exercise secret balloting,” she said.